A three-dimensional model of part of the Cameroon Highlands has been unveiled today on Monday 30 May in an official ceremony at the Southwest Regional Delegation of Forestry and Wildlife (MINFOF). 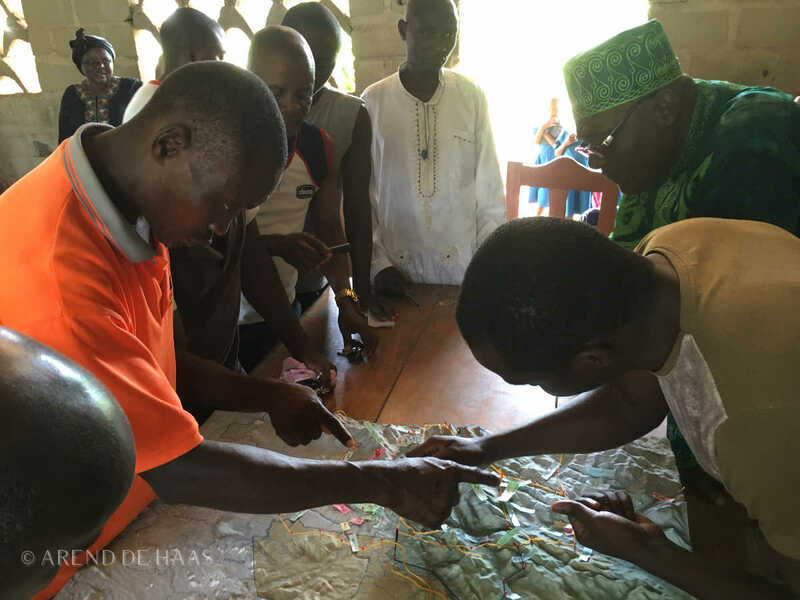 A Participatory 3D Mapping project has been conducted earlier this month in communities surrounding the proposed Tofala-Mone East Wildlife Corridor in South West Cameroon. 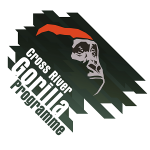 This corridor will be established to connect currently isolated populations of the critically endangered Cross River gorilla, forest elephants, drills and chimpanzees. The project is conducted by the African Conservation Foundation (ACF) and the Environment and Rural Development Foundation (ERuDeF), and supported by the Waterloo Foundation and Global Forest Watch. 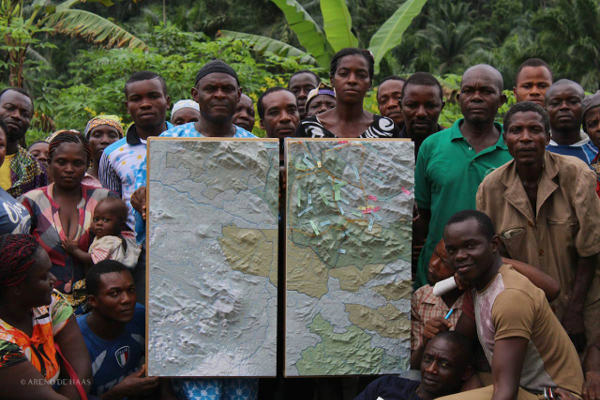 Goal is to establish effective community forest monitoring by integrating Global Forest Watch (GFW) data and Participatory 3-Dimensional Mapping (P3DM) in the Western Cameroon Highlands Ecoregion. “Our project zooms in and make GFW data available and accessible to local communities living in remote areas without electricity, internet or digital information sources”, says Louis Nkembi, President of ERuDeF and board member of ACF. 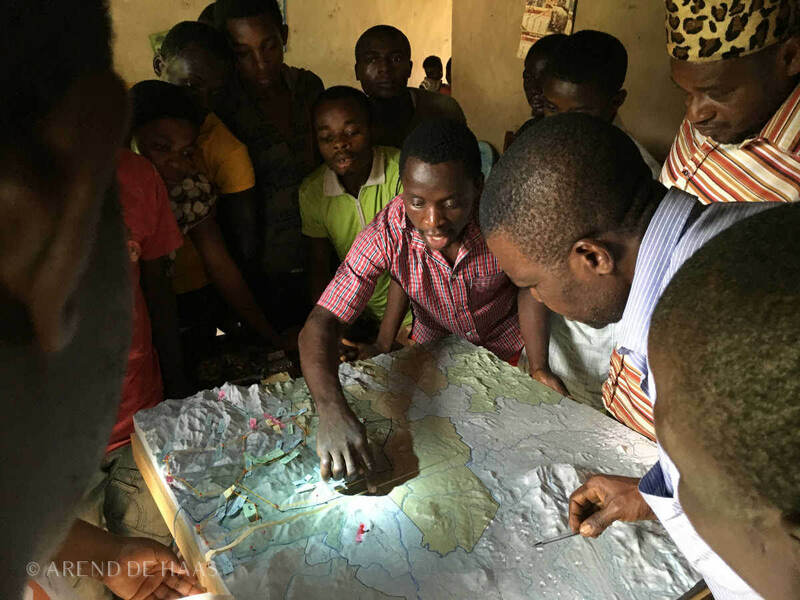 “We are using an innovative tool called Participatory 3-Dimensional Mapping or P3DM for transforming spatial information into a format that communities can manage and develop themselves”. Community-based forest monitoring using GFW and P3DM as integrated tools has great potential to contribute to Global Forest Watch by complementing remote sensing and alert systems and engaging local people into active forest guardianship, while delivering a number of other livelihood and conservation benefits. A physical 3D model of the landscape will serve as a powerful tangible monitoring tool that is always available for community members to consult and to contribute new georeferenced data about observations of existing and new threats. The P3DM model provides at the same time a round-table to gather stakeholders and discuss the latest threats and developments in the Highland rainforest, involving local traditional leaders and communities, the municipal government and the regional delegation of the Ministry of Forestry and Wildlife (MINFOF) in the long term management of the forest. The Regional Delegate of the Ministry of Environment and Forests (MINEF), Francois Issola Dipanda: “The 3D model provides an unprecedented opportunity to improve planning, monitoring and enforcement in this landscape”. The western highlands of Cameroon extend from the Rumpi Hills (NW of Mt Cameroon) through the Bamboutos Mountains and Lebialem highlands to Bamenda and Oku Mountains. This region, also referred to as the Lower Guinean Forest, is a biodiversity hotspot important at both the continental and global scale. The main threats are illegal activities, forest conversation and climate change. “The combination of GFW and and P3DM has great potential to mobilise communities and support bottom-up approaches in sustainable forest management and monitoring”, says Arend de Haas, Conservation Director at ACF and P3DM training coordinator. “The African Conservation Foundation and its local partner the Environment and Rural Development Foundation will provide training, equipment and on the ground support to local villages, in particular leaders and community scouts”. The project outputs will facilitate and improve local land-use planning – including agricultural planning to halt slash and burn practices – forest resources management, and prevention of landslides caused by deforestation. “Forests are important because of climate change”, says Daniel Nfongang, Assistant Secretary for one of the village councils. “The absence of trees results in changes in rainfall patterns. Trees help to conserve water, which in turn is important for communities in low-land areas. We need to avoid tree felling to avoid crisis”. The project will also strengthen communities in their campaigns and lobbying against palm oil plantations. In addition, the 3D model has positive effects in stimulating community cohesion and innovation, because it gathers people to share information and concerns encouraging them to come up with new solutions that benefit all members of the community. The African Conservation Foundation is working towards the protection and conservation of Africa’s endangered wildlife and their habitats. ACF’s goal is to support and link African conservation initiatives, groups and NGOs, with the aim of strengthening their capacity, building partnerships and promoting effective communication and co-ordination of conservation efforts. The Environment and Rural Development Foundation (ERuDeF) is a Cameroonian non-profit organization founded in 1999. ERuDeF is dedicated to the conservation of wildlife and protection of fragile environments through research, training, education and community engagement. It is the only indigenous non-profit working on the research and conservation of great apes in Cameroon. Global Forest Watch (GFW) is an interactive online forest monitoring and alert system designed to empower people everywhere with the information they need to better manage and conserve forest landscapes. Global Forest Watch uses cutting edge technology and science to provide the timeliest and most precise information about the status of forest landscapes worldwide, including near-real-time alerts showing suspected locations of recent tree cover loss.